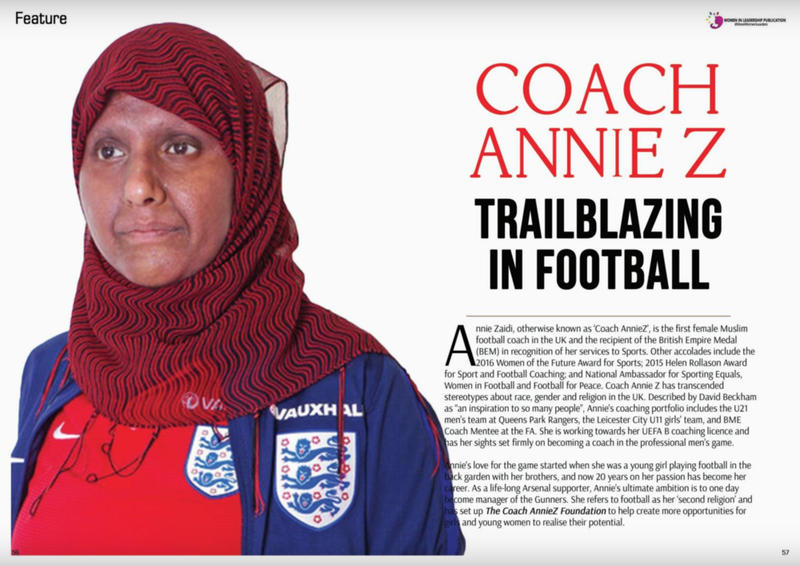 Women in Football Ambassador Annie Zaidi BEM featured in the Winter 2017 edition of Women in Leadership. Annie gave an exclusive interview to Women in Leadership Founder Shola Mos-Shogbamimu about her unique journey in the world of football coaching and her aspirations for the Coach AnnieZ Foundation. The influential publication can be accessed online. We are delighted to announce that SAPCA has appointed Andy Reed as its new independent Chairman. Saje Impact is delighted to be working with Icon Training on an exciting project, assisting the leisure operator BH Live to provide 18 months of training to motivated members of their staff. Saje Impact played an integral role at the CSP Network Convention held at the East Midlands Conference Centre in March.